Life doesn’t stay the same. Boats don’t, either. 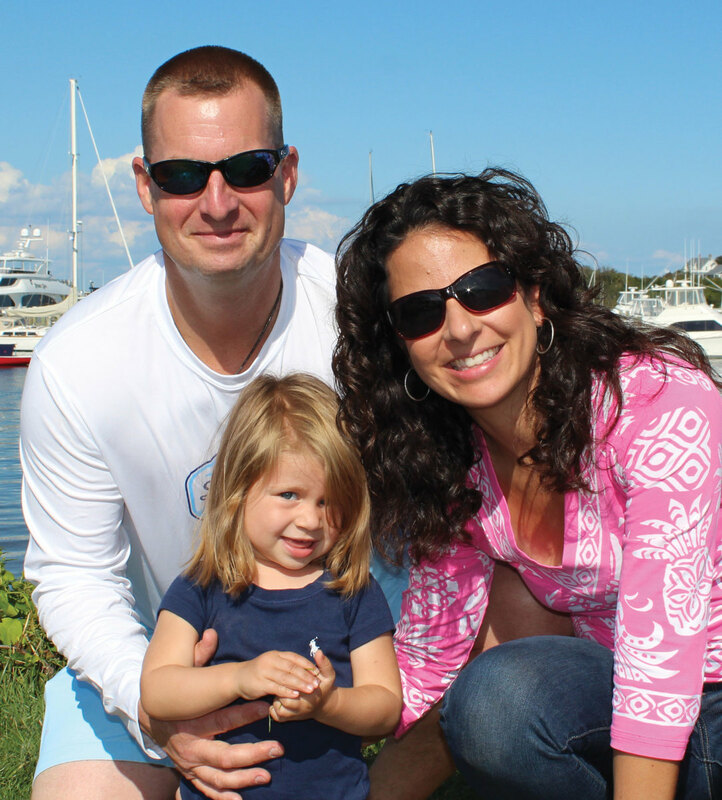 Dug Stowe has had his Bertram 31 for almost 20 years, and it has made the transition from a “fishing with the guys” boat to a family cruiser that’s a perfect fit for his companion, Kerri, and their 2-year-old daughter. Dug Stowe with (from left) Olivia and Kerri. But buying the boat was just the beginning. “It was in bad shape,” Stowe says. 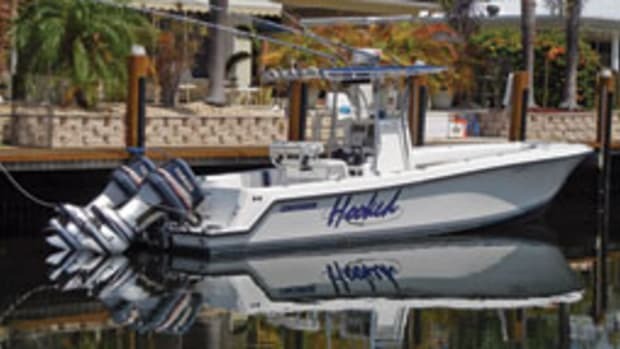 “It had twin 440 Chrysler engines, which should strike fear into any knowledgeable boater. 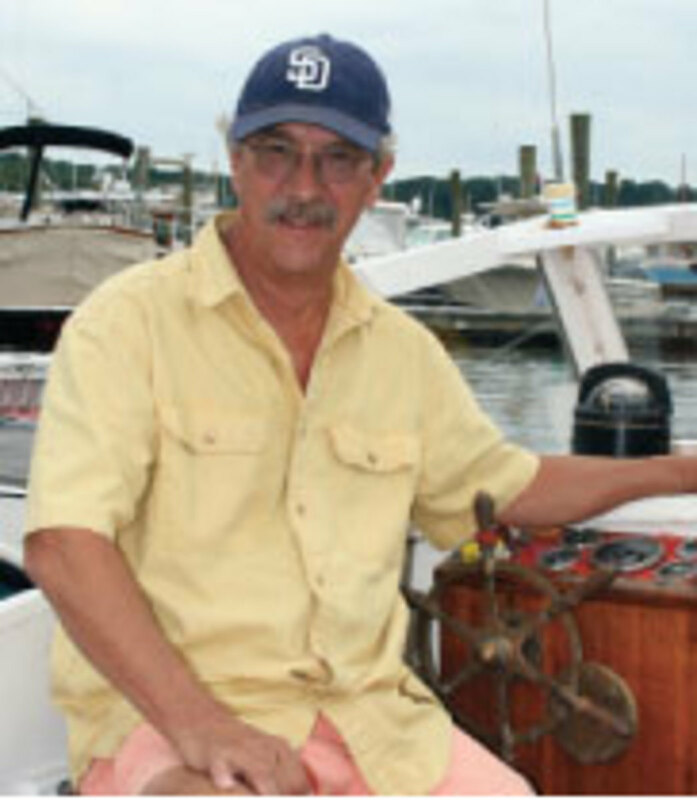 We drove it from Swansea [Massachusetts, where it was purchased] to my home port in Mystic, and to this day I don’t know how we got it there.” In subsequent inspections, Stowe says, he found many “scary things,” including rotten plywood and worn-out engine parts. 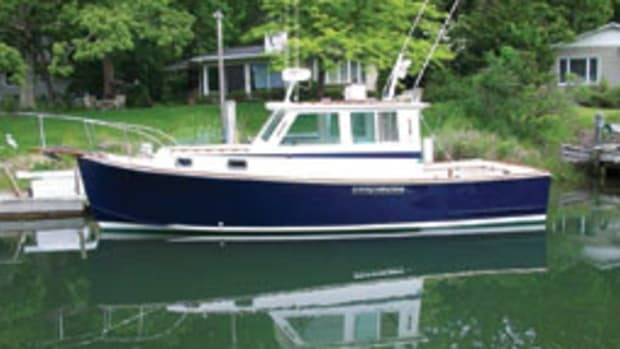 The Bertram was gutted “from the firewall back,” repowered, rewired, repainted and fitted out with up-to-date electronics to make it the reliable, comfortable boat he wanted. 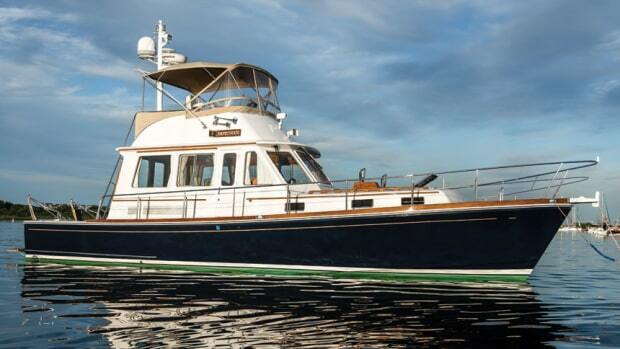 The first phase involved gutting most of the interior, then rewiring and plumbing, installing teak soles and decking, updating the galley systems and gear, and adding new electronics. Stowe repowered with twin 240- hp Yanmar diesels, replacing a pair of rebuilt gas power plants. 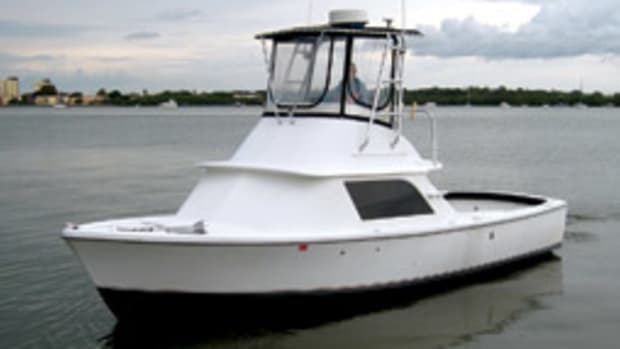 At 3,100 rpm, the boat makes 23 to 24 knots, burning about 11 gallons an hour. “That’s hard to beat,” he says. 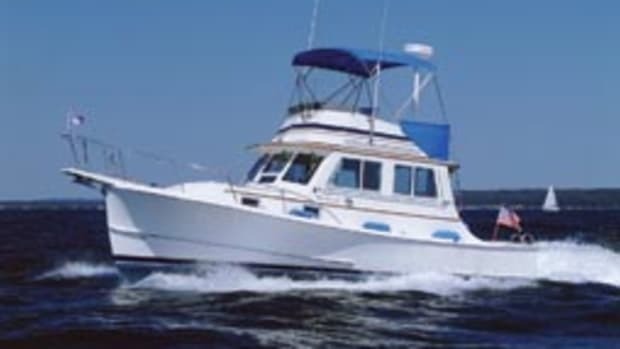 Stowe has since added custom touches and cruising comforts to his Bertram: a renovated flybridge, a teak cockpit sole, a custom hardtop, underwater lights, a new head system and air conditioning. 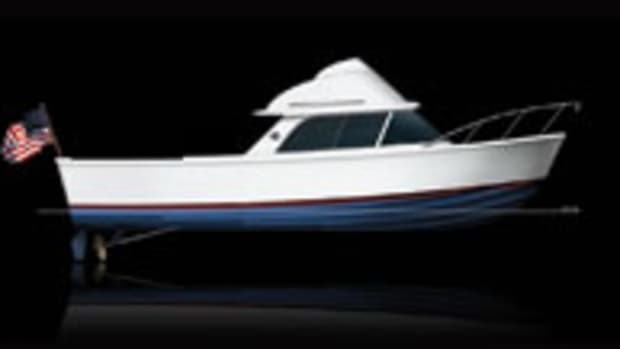 The Bertram 31 rides a fiberglass deep-vee hull with 24 degrees of transom deadrise. A low center of gravity, hard chines and a tall bow contribute to the superb seakeeping characteristics of this legendary fishing boat. 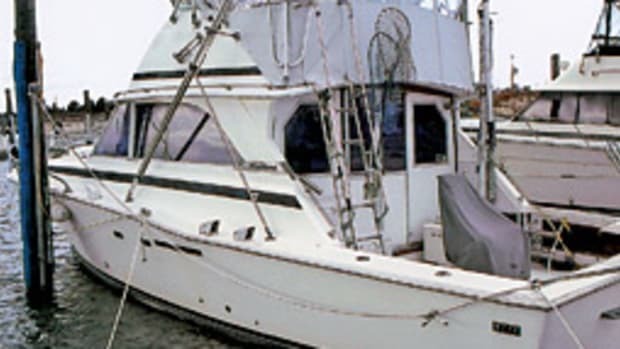 The open cockpit has room for a fighting chair, tackle boxes and bait stations. 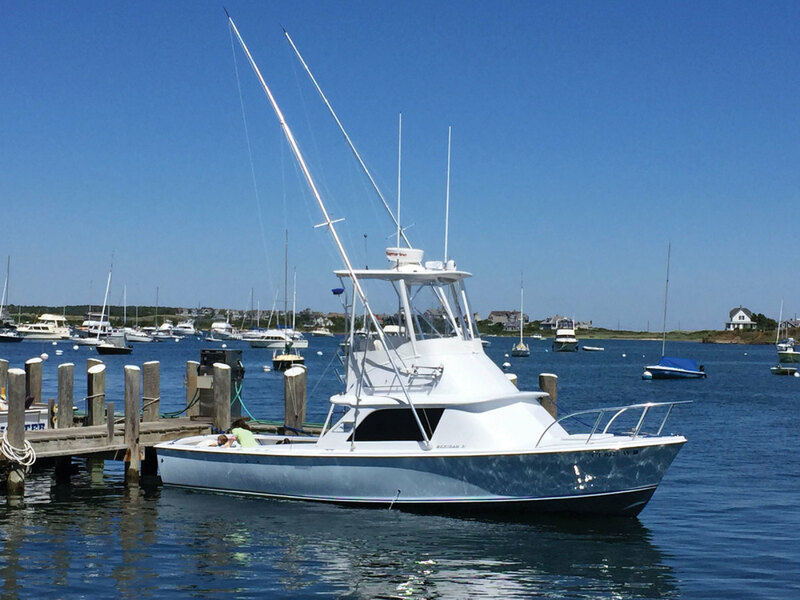 Many 31s are customized with outriggers and other fishing gear. The two cockpit engine boxes are often used as seats, sunpads or work areas. 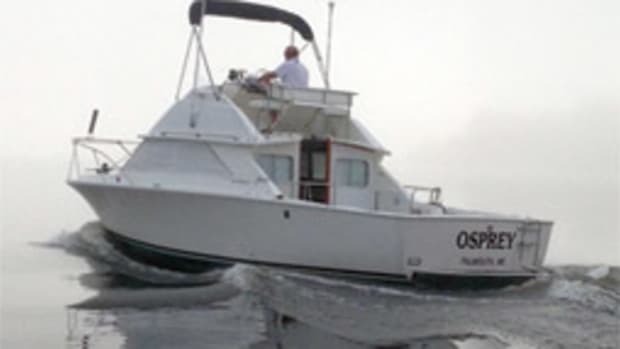 On the Flybridge Cruiser, the main helm is on the flybridge, reached by a cockpit ladder. The helm station is laid out with a bench and a dashboard for gauges and electronics. There’s also a guest bench seat. Below, the cabin layout is simple, with accommodations for four. The original layout has a V-berth forward (with insert) and a marine head underneath the berth. The galley, with a sink and under-counter refrigerator, is just aft and to port. The dinette, convertible to a bunk for two, is across the way, to starboard. An optional lower helm station was offered.